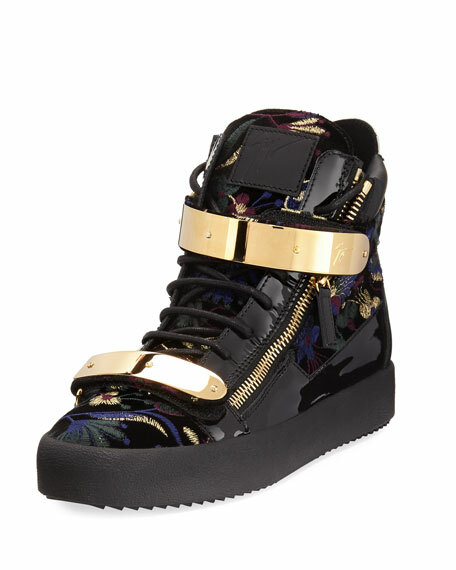 Giuseppe Zanotti high-top sneaker in floral brocade. 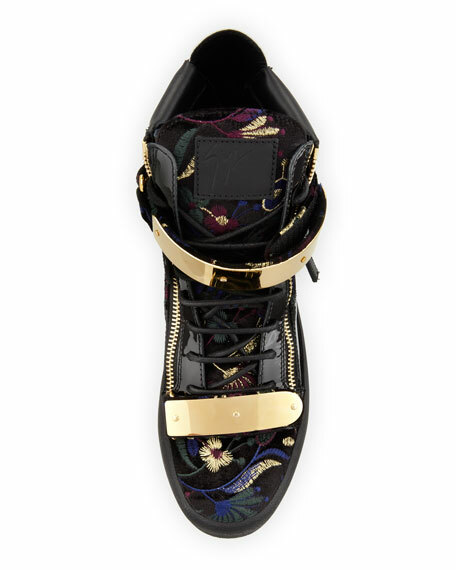 Patent leather trim and golden metal hardware. Double grip straps with bar details. Embossed logo patch at tongue. Pull tab and zip at back heel. 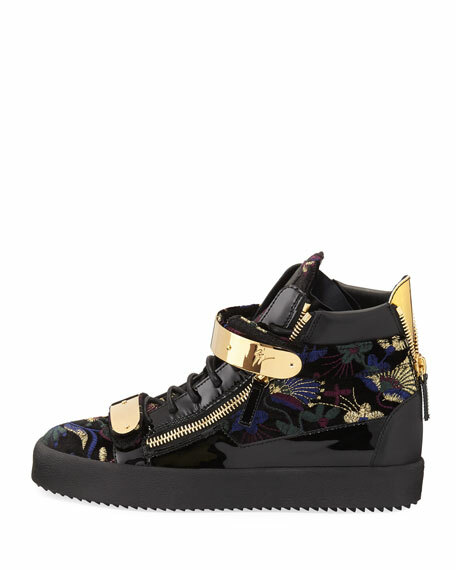 For in-store inquiries, use sku #2246624. 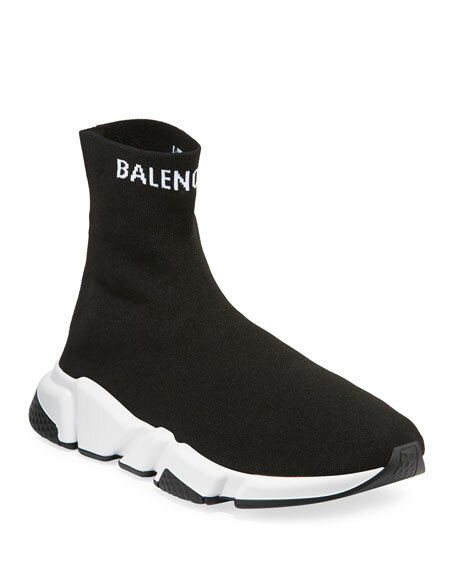 Balenciaga high-top speed sneaker with nylon/spandex upper. Ribbed knit sock construction. Printed logo along top sock line. 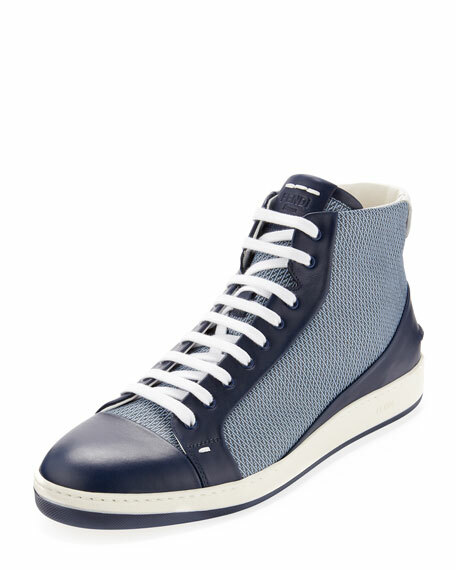 Rubber sole with shock absorption. Nylon/spandex. Made in Italy. Mini-Zucca-print waxed canvas and leather upper. 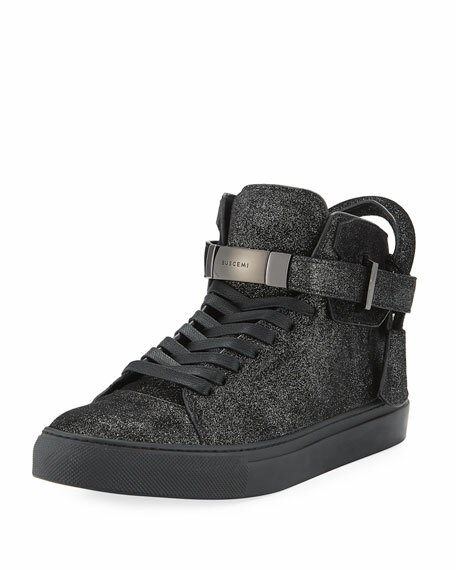 High-top silhouette; 4"H ankle shaft. Round capped toe. 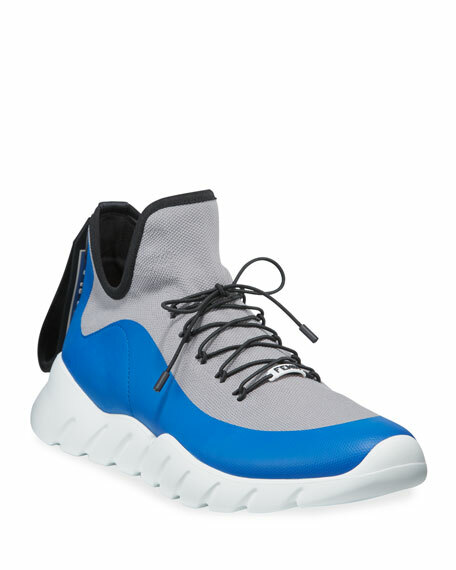 Lace-up front; logo on tongue. Fabric lining; cushioned insole. Rubber outsole. Made in Italy.